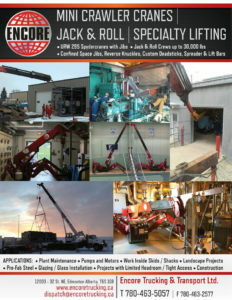 Jack & Roll Services - Encore Trucking & Transport Ltd.
We offer jack and roll services up to 90,000 lbs. This service is ideal for moving units that are tucked away in hard to reach spots. The jacks allow us to lower the commodities onto any type of surface and the skates make even the hardest to reach spots accessible. Our jack and roll services are often used in tandem with our picker trucks, which can lift the items through doorways or openings. We can also transport and offload all the commodities that we jack and roll, offering an all-in service to our customers.